Our doctors are committed to providing excellence in dentistry, and stand out as leading dentists in downtown Indianapolis. The doctors use the latest in dentistry techniques to provide you with a beautiful and healthy smile. Additionally, the doctors of Meridian Dental Center believe strongly in education to prevent oral health problems before they occur, and make sure to keep patients fully informed about their dental health. Read more about our doctors below. To schedule an appointment with the Meridian Dental Center's downtown Indianapolis dentists, click here or call (317) 926-5467. Dr. Stephen Trager is an Indianapolis native. He received his undergraduate degree at Indiana University and is a 2005 graduate of the Indiana University School of Dentistry. Following his graduation from dental school, Dr. Trager moved to Bloomington, Indiana and was in private practice for 5 years. Dr. Trager is a member of the American Dental Association (ADA) and is a past President of the Bloomington Dental Society. He is a certified Premier Invisalign provider and has completed extensive continuing education with a specific focus on sedation and implant dentistry. Dr. Trager is married to his wife, Melinda, and has four children. He enjoys basketball, tennis and fishing. To schedule an appointment with our highly qualified downtown Indianapolis dentist, call (317) 926-5467. Dr. Jason Bayless recieved his undergraduate degree from Ball State University and is a 2012 graduate of Indiana University School of Dentistry. 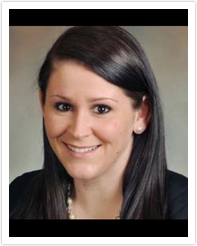 Dr. Bayless previously practiced in southern Indiana before joining Meridian Dental Center in 2013. Dr. Bayless is a member of the American Dental Association and the Indiana Dental Association. When not at work, Dr. Bayless enjoys kayaking, rowing and hiking. Dr. Emily Thomas is a native of the south side of Indianapolis where she attended Roncalli High School. She then earned her bachelor’s degree in Biology from IUPUI and is a 2013 graduate of the Indiana University School of Dentistry. Following dental school, Dr. Thomas practiced on the west side of Indianapolis before joining Meridian Dental Center in 2015. She and her husband, Brent, live in Avon. Outside of practicing dentistry, Dr. Thomas enjoys staying involved at her church, being outdoors, traveling and playing with her dog Oscar. Dr. Thomas’ favorite part of being a dentist is getting to know her patients and making them feel comfortable.